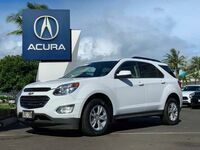 Interested in a Used SUV? 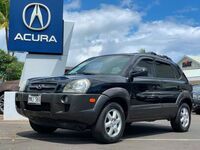 For a boost in power, cabin space, and off-road capability, you can rely on a used SUV here in Kahului, HI. SUVs come in several different sizes and shapes—from compact, 5-passenger crossovers to full-size models with room for up to 8. Seating-cargo options allow for multiple configurations whether you need to transport more people or more stuff. Whether you need a high-performing SUV or an eco-friendlier option, you'll be able to find a model that suits you. Modern aerodynamics and hybrid powertrains give drivers the opportunity to find their ideal blend of power and efficiency. With higher ground clearance and available AWD or 4WD, most SUVs are built to handle a variety of driving conditions and terrain. From the driver's seat of an SUV, you can confidently navigate highways and city streets as well as off-road paths. 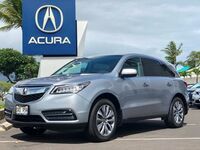 Here at Acura of Maui, we offer a wide selection of SUV models, from small crossovers to large family-haulers. 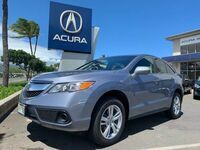 Our SUV inventory includes a number of different makes, models, and years, including more recent used models and older, more affordable options. Check out our current stock and schedule a time to get behind the wheel today!